Rotherham United welcome Nottingham Forest for their fourth league visit to the New York Stadium. The last time Forest were at the New York Stadium was in September 2016. With half-an-hour of the game gone Jon Taylor put the hosts in front but second half goals from Matt Mills and Apostolos Vellios gave Forest the lead. Rotherham went down to ten men when Darnell Fisher got a second yellow card but with three minutes to go Jon Taylor was there again to get the Millers a point from the game. The game at the New York Stadium in the April ended goalless which was also the score in December 2014. 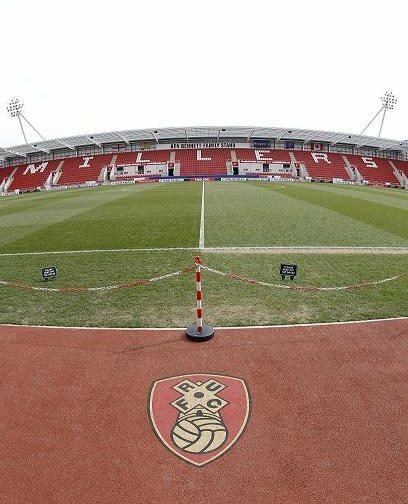 The last time that the Millers beat Forest on Rotherham soil was at Millmoor back in September 1956 when goals from Jack Grainger, Peter Johnson and Danny Williams earned the Millers a three-two win in Division Two. Forest’s last win at Millmoor in the league was in March 2002 as goals from Jack Lester and Marlon Harewood took the points, with a Mark Robins penalty the only reply from the home side. Tony Leake was the referee that day and he showed a yellow card to each team – one to Eugen Bopp, then of Forest, and one to The Millers’ Chris Swailes. The first time the teams met was in 1919 when the Millers were known as Rotherham County. The hosts won the game 2-0 with Cawley and Lee the scorers. The game at the City Ground in September saw an eighty-sixth minute penalty by former Miller Lewis Grabban give the hosts all three points. Click Here to read last Vital Rotherham article.